A deer stand is definitely a novelty when going deer hunting. Not only does it increase your viewing range, it will also eliminate your presence from any wary buck that comes across your location. Making a stand for deer hunting is easy, and most of the materials you need can be bought at any local hardware shop. Basically a deer stand is all advantage to a deer hunter. 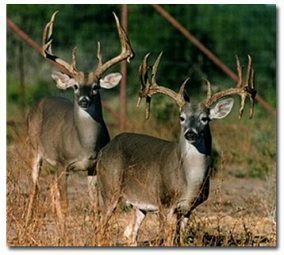 Since the deer’s nose is quite sensitive to scent, a deer stand eliminates your smell entirely from the deer’s range. Since your presence is no where near the area, the buck can come and go without any sign of alarm. Another advantage is the visibility of the surrounding area when you go hunting. Since you are perched comfortably up a tree, you can spot a buck from miles away. Just make sure that you have a steady aim and a long range rifle to bring your target down. When planning to make a deer stand, it’s always best to check state and locals laws regarding construction on public lands. If you are planning to hunt in a private territory, you better consult the owner of your plan to build a deer stand or you will end up face a trespassing lawsuit. Next step is to determine the location of the most amount of deer activity in the area. If you plan to make a deer stand, you better make sure that your targets are within the vicinity. There are two ways to create a deer stand: 1) you can either put up your tree stand high up a tree, or 2) an elevated platform from scratch. The best suggestion is putting up your deer stand in a tree since this is less expensive of the two. Your deer stand should be made of wood since it will blend in with the surroundings perfectly. If you plan on purchasing deer stands made of metal, you better make sure that you paint it the same color as your surroundings. Since metals tend to glare, it might alert your prey faster than you can take aim and shoot. When proposing to paint your deer stand for camouflaging purposes, it’s better to do it a month or two before the actual hunting season starts. This will eliminate the smell of the paint so not to alert the buck of your presence. Noise is your worst enemy when deer hunting. Since you are wearing boots and you have wooden floors in your deer stand, you are definitely going to make a lot of noise while in it. You might take some precautions and pad down your deer stand floor with a thick sackcloth or even a carpet if you can afford it. One thing that we should remember is that we have nature calls. Urinating is a major problem faced by hunters when perched on their deer stands. You can always urinate out your deer stand but you might alert the buck of your scent, urinating IN your deer stand could definitely ruin your scent, so handle the situation as you see fit. And finally, how are you going to access your deer stand. If you are an avid climber, you need not put steps or ladders to serve as access to your deer stand. Since deer stands are usually on top of trees, ladders are perfect if you plan to get to your perch quickly! Taking all these tips into consideration will lead to a well-planned well-though out deer stand that will last a long time.